Every Wednesday, every week, you'll find your next seven days of jazz in and around Rochester right here on JazzRochester. Sign up for our email list to get your jazz goodness every week (plus, whatever else I publish). The Jazz90.1 fall pledge drive begins Monday October 8 at 7 a.m., and they need your help to keep the great jazz, blues and big band music going strong by making a pledge of financial support. Start here, but if you hear about something that I haven't added below, please drop me a line (use the Contact Us link above), give me the deets and I'll add it. As always, let me know if any gigs below are not happening or if I got something wrong. Sh*t happens and I sometimes get it wrong. We've compiled these listings from information obtained from our own knowledge of the jazz scene in and around Rochester, the performing artists themselves and other sources. 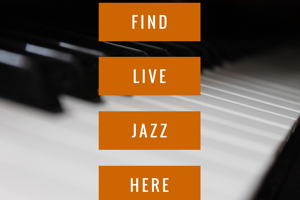 The aim is to give you a one-stop place to find all your live jazz in and around Rochester. Click on the links (underlined words or phrases) where available in the post for more information on the gig. Only music start times are listed, so visit or call the venue for more details about when the doors open, etc. (the websites for many of the venues are in the right panel). Check back as I will add any gigs I hear about after publication (look for the graphic next to the listing). Lastly, please forgive me where these listings prove to be wrong, I rely on you, the venues and the artists to let me know when we've got bad information, so don't hesitate to let us know about such departures from reality by clicking on the Contact Us link above.